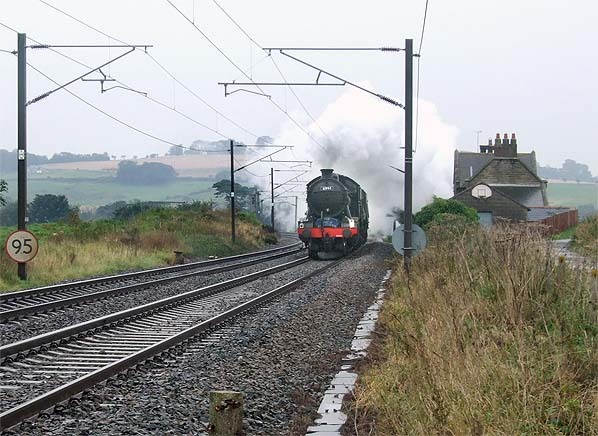 Notes: The Newcastle & Berwick Railway – now part of the East Coast main line – was conceived principally as what would now be called an ‘inter-city’ route, so the priority was not to serve intermediate settlements conveniently. The railway passed almost three miles east of Alnwick, the principal market town of mid Northumberland, thereby avoiding higher land, which would have created steeper gradients, and also keeping clear of the grounds of Alnwick Castle, the seat of the Duke of Northumberland. To serve Alnwick, at least on a temporary basis, a station opened at Lesbury, and a horse-bus service was provided to and from Alnwick. In Reid’s Monthly Time Table of May 1849 (see below) the station was given as ‘Lesbury, Alnwick’. Its life was to be short as the branch to Alnwick from ‘Bilton Junction’, a mile south of Lesbury, would open in October 1850. 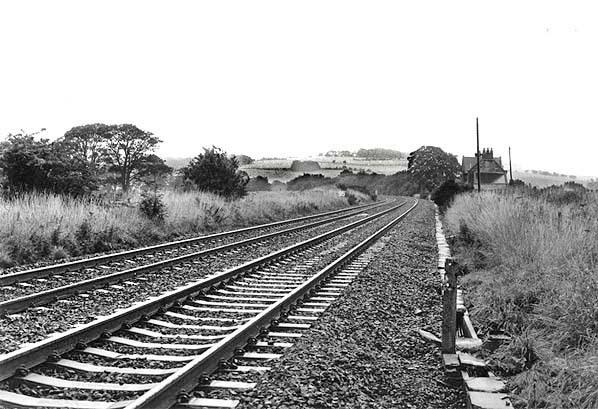 Bilton Junction was renamed Alnmouth, and it is still open. The 1849 timetable shows Lesbury and Morpeth as being the only intermediate stations between Newcastle and Berwick at which all trains called, except the 11.30pm from Newcastle which had its first stop at Berwick. Six down weekday trains, and four on Sunday called at Lesbury, and in the opposite direction there were six weekday and three Sunday departures. The station building at Lesbury is on the down side of the line, and it is a handsome structure with a family likeness to other N&B stations, being of a Gothic Tudor/Jacobean (‘Jacobethan’) style. 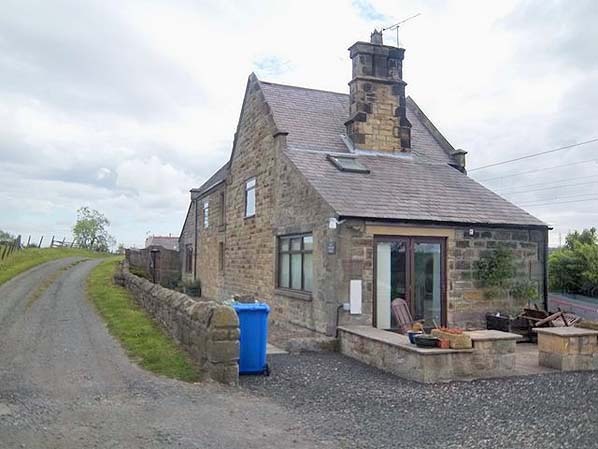 It is one of the smaller designs, similar in character to the buildings which formerly stood at Forest Hall and Plessey, and which survive at Goswick and Smeafield (initially serving as crossing keeper’s accommodation before the stations opened to passengers). As an indicator of its relative modesty as an N&B station building, Lesbury cost £403 compared with Killingworth (£1,129) and Warkworth (£1,649). 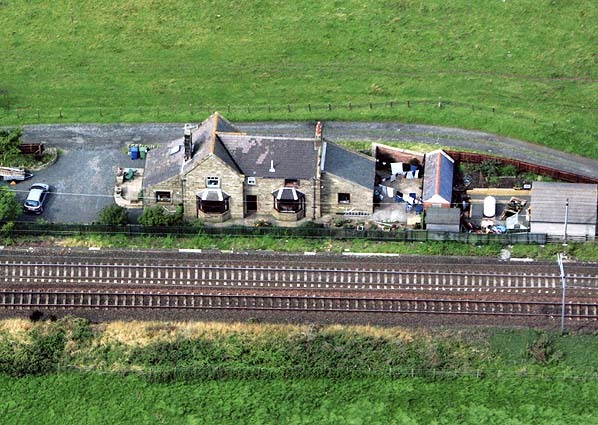 It is a T-plan, two-storey sandstone ashlar building with a pitched slate roof and raised gables, which incorporated the stationmaster's house; two ground floor canted bay windows overlook the railway. There are single-storey extensions at both ends of the building. Platforms were to the north of the station house, extending towards a level crossing. There is evidence of stone work at the former crossing which was possibly a crossing cabin. All passenger facilities appear to have been housed in wooden buildings on the platforms. There was a goods shed to the south side of the main building. Queen Victoria visited the station on 29August 1850, when she interrupted her journey north to receive an address from representatives of Alnwick Town Council. Later that day she opened the Royal Border Bridge at Berwick. 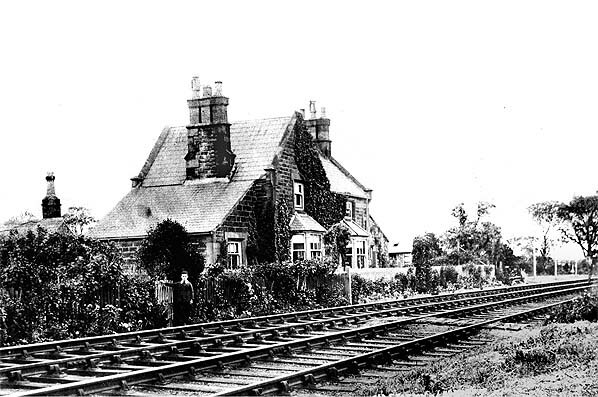 Two months before the opening of the Alnwick branch, Bilton station had only just been laid out, and when the branch opened timetables still name Lesbury rather than Bilton. If Lesbury was still in use this would have required a reversal which would have significantly increased journey times. When Bilton finally appeared in timetables in May 1851 no reduction in timings was shown so it seems likely that Bilton was finished in time but was shown as Lesbury in timetables. 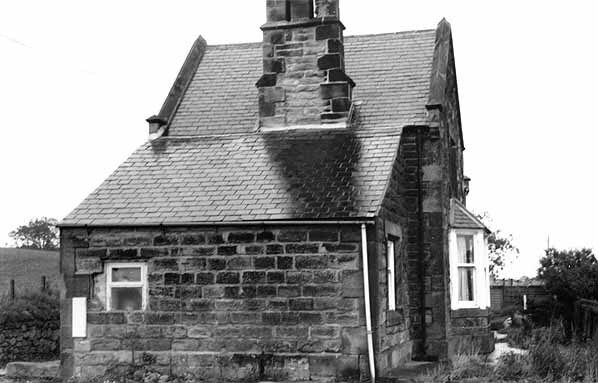 The building was unoccupied for at least a year after closure before being converted into two houses for railway workers. It is shown on the 1960 OS map (see below) as 'Old Station Cottages'. 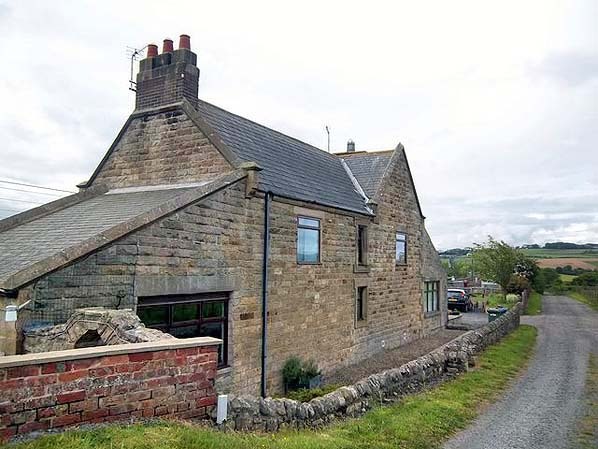 It was sold by BR c1960 and returned to a single dwelling. 1887 1;2,500 OS map. A number of small buildings are shown to the south of the station. Their purpose is unknown. They had gone by the early 20th century. The 1960 1:2,500 OS map shows the station as 'Old Station Cottages'. 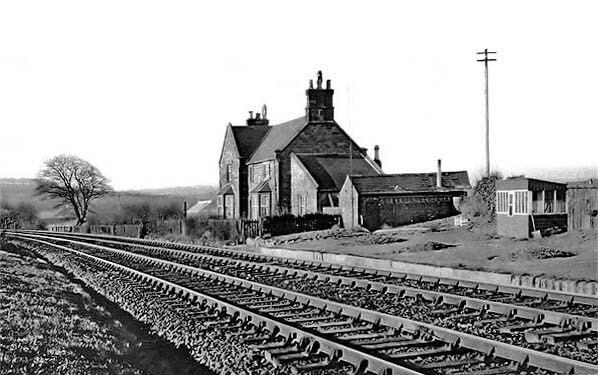 Lesbury station in February 1953. Lesbury stationmaster's house in August 1986. A steam railtour passes Lesbury station c2008. 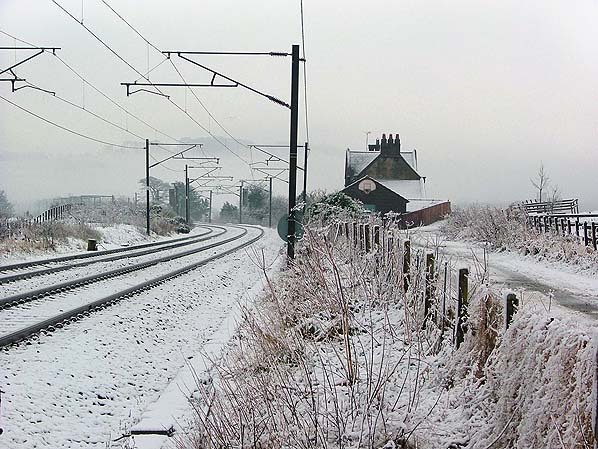 Lesbury station looking south from the level crossing in December 2008. Lesbury station looking south from the road in June 2011. Lesbury station looking north from the road in June 2011.